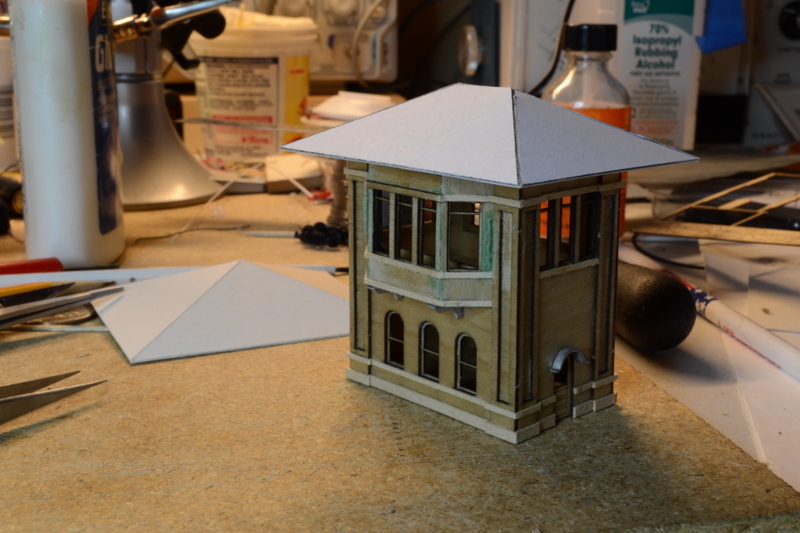 Over the winter, I made the leap into laser-cut structure kits. I’ve had The N Scale Architect’s Greendel Tower kit for years, thinking that it would look good on my Susquehannock Industrial Park module, if ever it reached the structure stage. The kit contains parts to build two towers, and the new crossover module I’ve been building needs a tower. It was time to bust into the kit. Posted in Structures and tagged Delaware Lackawanna & Western, Greendel tower, N scale, Susquehannock Industrial Park, The N Scale Architect on June 24, 2017 by Jeff Faust.